Australia confirmed for Eurovision 2018! 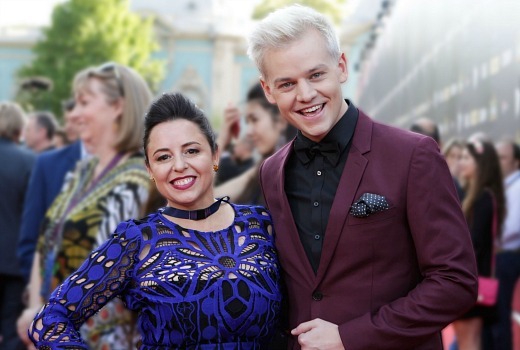 EXCLUSIVE: Australia is returning to the Eurovision Song Contest to be held in Lisbon, Portugal next May with SBS commentators Myf Warhurst & Joel Creasey. It marks the fourth year Australia will officially compete following entries with Guy Sebastian, Dami Im and Isaiah Firebrace -all of which finished in the Top 10. SBS Managing Director Michael Ebeid said: “SBS is proud to secure Australia’s return as competitors in the Eurovision Song Contest for the fourth year, as the country’s unique affection and passion for Eurovision continues to grow. “In Guy, Dami and Isaiah, SBS has showcased the incredible talent of Australia’s musical performers on the world stage, and in turn, the wonderful diversity that makes up Australia today. SBS & Blink TV are currently in discussions with territory partners for the Eurovision Asia Song Contest, hoping to be staged in 2018. With the good news of our inclusion in Lisbon, who would you like to see representing Australia? Sia would be phenomenal ! I hope this will be the year that we finally see Delta as our entrant. All our entrants so far have been quite good, especially Dami who almost won it for us. But I think Delta could do wonders for us in the competition. Has someone at SBS had a chat with Joel to ask him to bring down the shrieking histrionics he over-excitedly displayed throughout the Mardi Gras telecast? I think he’s a great talent and lots of fun, but when he gets worked up into a frenzy, it makes for tough viewing. I turned off the MG telecast this year – first time ever – due to him, and am now a bit reluctant to turn on Eurovision for fear of the same. I mentioned to SBS top brass MG needed to remember that viewers at home can hear them fine, and not to get carried away with the atmosphere, or at least the audio surrounds. It wasn’t just Joel and it is a deceptive situation. Are we on a perpetual year by year inclusion agreement or at some point does our entry become automatic? My understanding is it’s negotiated each year. Our contestants might have been racially diverse, but musically we have a long way to go before we really show the world what we’re all about. Personally I’d love to see Montaigne giving it a crack. She’s very dramatic, but also really interesting. Amazing voice, but she’s outside the box. I love all the previous entrants but wonder if this years eventual entrant be “diverse” ? Time for a non-solo, non-talent-show act. I wonder if the Kransky Sisters are available?